The long wait of many aspirants has finally come to an end as the SSC finally released the exam dates for SSC CGL 2018 and CHSL 2018 that will be conducted in the month of June and July. The dates must have baffled many aspirants as they don’t know how to plan and prepare thoroughly for the exam considering they have 2-3 months left for the exam. You have to utilize these months in such a way that you leave no stone unturned to reach your goal. PRACTICE is the ultimate mantra to get sure shot success in the exam. The more you practice, the more will you be closer to your goals. You must have worked hard till date, now is the time to work smartly. 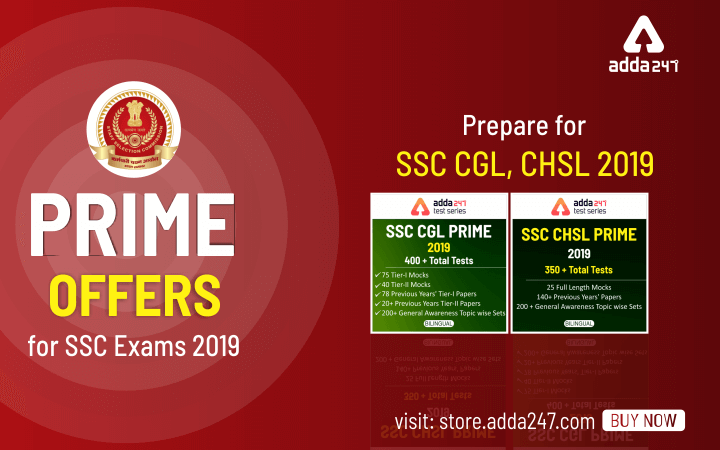 To make your preparation flawless for SSC CGL 2018 & CHSL 2018, ADDA247 brings you the Prime Offers which will benefit you throughout the exam process. It will help you to practice thoroughly and analyze your performance. 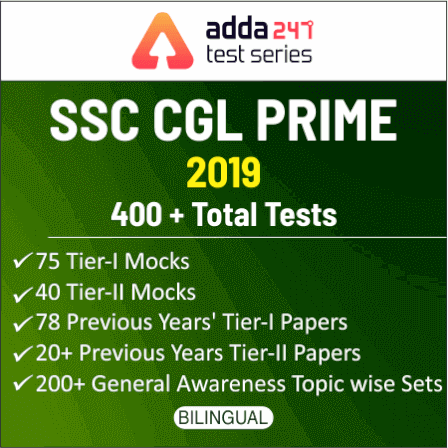 Why Should You Buy ADDA247 SSC Prime Offers? 1. With this package, one gets a compact study material at a minimum cost that will help our students cover up all the topics that are important for the SSC CGL & CHSL Examinations. From topic wise tests to full-length mock tests, one gets a wide range of mocks that will get the students familiar with the latest pattern of examination with level based questions. 2. To assess one’s progress and to work hard on one’s weak sections, accuracy, speed, etc. one needs to attempt test series on a regular basis. And with our SSC Prime offers, we make it an easy task for you. Make the most of the time to ace the actual examination. 3. Previous year’s papers play a vital role when it comes to the preparations of SSC Examinations as SSC is known for repeating several questions or same pattern based questions. So, a deep analysis of previous years’ papers is required to bag an exam cracking score in the examination. And this package provides a great number of previous papers of SSC CGL & CHSL Tier I and Tier II Examinations. So, students, it’s a good opportunity to get a bunch of study material altogether in such a cost-effective package.